Most Americans are familiar with Susan B. Anthony and Elizabeth Cady Stanton, leaders of the early women’s rights movement. Almost lost to history, though, was Clarina Nichols, a fervent advocate and activist for women’s rights. Originally a Vermont-based activist, Nichols was the only early women’s rights activist to not only campaign in the pioneer territories of the Midwest but also to settle and live in Kansas during its rough start to statehood. 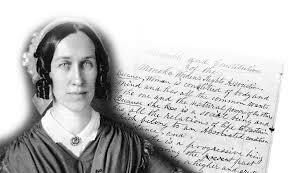 Diane Eickhoff’s biography Revolutionary Heart saved Nichols from historical obscurity. Now, Eickhoff has written a new biography of this pioneer activist specifically for Young Adult readers. is a highly recommended biography for the middle school reader and welcome alternative to the historical fiction centered around young European princesses that has swamped the YA market in recent years. Adult readers will also find this a good introduction to the early women’s movement, which began around 1840. Clarina Howard, born in 1810 in West Townshend, Vermont, saw these unfortunate women pass through her father’s office. Chapin Howard was the town’s poormaster, in charge of providing help to the town’s destitute through its relief fund. Unfortunately, Clarina herself made a bad marriage. After three children and seven years of marriage, Justin Carpenter, a resentful, failed lawyer, packed up the couple’s young children and disappeared. Unlike the desperate women in her father’s office, though, Clarina’s in-laws came to her aid, tracking their son down and demanding he give custody to Clarina for good. Clarina’s second marriage was a success. George Nichols was the publisher of the Windham County (VT) Democrat, to which Clarina had been submitting articles and poetry. Through George, Clarina learned the newspaper business and made the acquaintance of a whole new set of intellectual friends and peers, including Anthony and Stanton. A respected writer and popular lecturer at Vermont and East Coast abolitionist, temperance, and women’s rights conferences, Clarina’s “Responsibilities of Women” speech was her most famous and laid out the agenda that occupied her for the rest of her life: property rights for married women; control of personal wages; custody rights; inheritance law reform for women; equal educational and vocational opportunities for women; and, the right of women to vote. 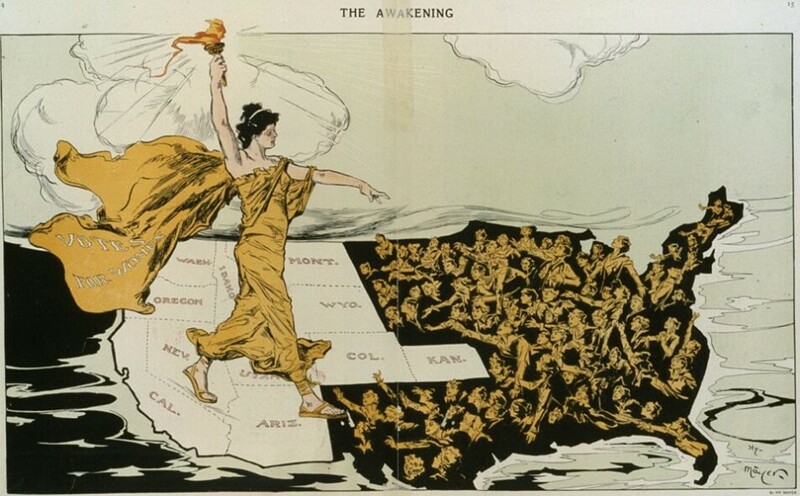 After her tireless work in the Vermont area, national suffragists encouraged Clarina to travel to Wisconsin and Ohio to campaign for state constitutions and state constitutional amendments that would give women the right to their own property, obtain custody of their children, and vote in school elections. She campaigned tirelessly in Kansas for both abolition and women’s rights and was an active member of the Underground Railroad. Her clicking knitting needles were the background soundtrack to the Wyandotte, Kansas, constitutional convention, when she wasn’t taking notes for articles sent to Eastern publications. Nichols also was a featured after-hours speaker during the Wyandotte convention, converting men and women to the cause and helping garner the votes that eventually passed the Kansas Constitution, along with its rights for women, into law. Throughout her life lecturing to crowds in Vermont, New York, Ohio, Wisconsin, and Kansas, Nichols was determined to bring the “dull and dry legal problems come alive.” She succeeded—and Eickhoff succeeds in bringing Nichols to life in these pages. Book Reviews, History, History / Biography, U.S.